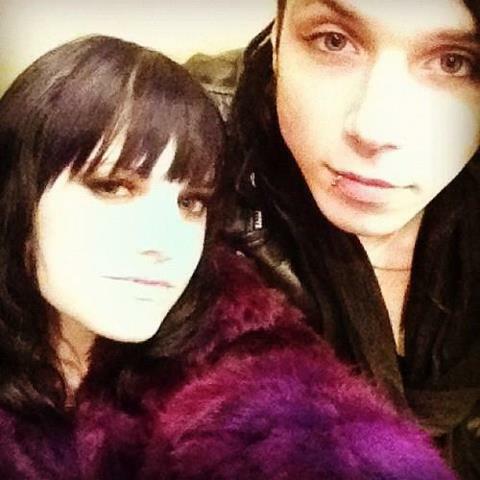 <3*<3*<3*<3*<3Andy & Juliet<3*<3*<3*<3*<3. . Wallpaper and background images in the Andy Sixx club tagged: andy biersack gorgeous perfect black veil brides juliet simms. This Andy Sixx photo might contain pelzmantel, pelzkragen, pelz akzent, pelzakzent, pelz, fell, fellkragen, and fell-akzent.